At the Simpson Law Group, we will work tireless on your behalf when another driver’s negligence causes you or a loved one harm. You can count on our qualified and experienced team to secure coverage for your medical expenses, lost wages, pain and suffering, and more. We are learning of a crash that occurred on Interstate 5 near downtown San Diego on January 13. The California Highway Patrol says that a Nissan Versa was traveling southbound in the northbound lane when it struck a minivan. The wrong-way driver was killed at the scene and the driver of the van was trapped inside of the vehicle. He was transported to the hospital and was complaining of chest pain and a possible leg injury. We also know that one of the vehicles exploded after the crash. The cause of the crash has not yet been determined and is still under investigation. At the Simpson Law Group, we know that the last thing on your mind when you leave the house each day is that you may get into a car accident. Unfortunately, there are times when the negligence of another person can cause you harm. 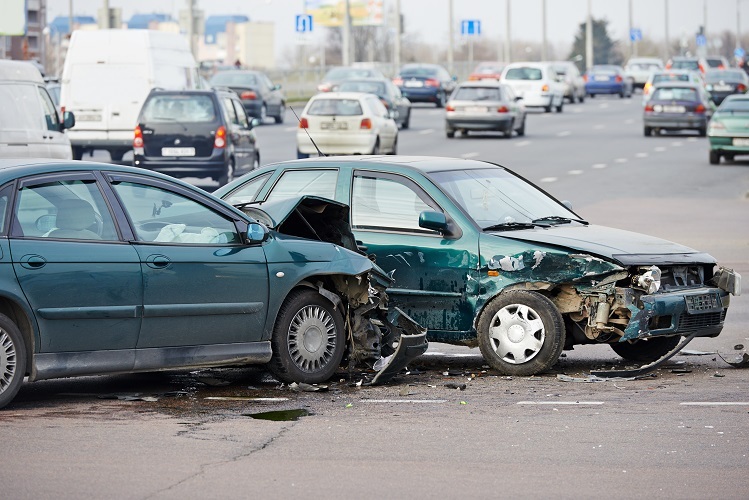 If you need a San Diego car accident attorney, call us today. There are a number of ways that another driver’s actions can cause you harm when you are on the roadway. We recognize that not all accidents are caused by a driver’s extreme negligence. Often, a driver was simply not paying attention. Perhaps they were following a bit too closely on a rainy day, something we have seen a bunch of around here lately. Those serious injuries can cost major money when it comes to medical expenses, especially if surgery and long-term rehabilitation are necessary for a person to make a full recovery. Drivers in this state say that speeding and aggressive driving are their biggest safety concern on our roadways. However, we know that over 27% of all traffic fatalities are caused by alcohol-impaired drivers. Modern technology also causing major problems. Aside from cell phones, there are a multitude of devices that can distract drivers and cause them to take their eyes off of the road. We know you cannot prevent all accidents, but that does not mean you should be put into financial jeopardy when someone else causes you harm. The first thing you need to realize is that it is not likely that insurance companies have your best interests in mind, whether it is your insurance company or another party’s. These companies will rush to make a settlement quickly after an accident, but it will probably be less than what you are entitled to. At the Simpson Law Group, we will work tireless on your behalf when another driver’s negligence causes you or a loved one harm. You can count on our qualified and experienced team to secure coverage for your medical expenses, lost wages, pain and suffering, and more. When you need a San Diego car accident attorney, you can contact us by clicking here or calling 619-236-9696 for a free consultation.